In 1995 Royal Dutch/Shell Group (“Shell”) initiated a scenario planning process to examine how the company should respond to the forces of globalization, liberalization, and technology. The resulting internal reports, first published in 1998, have now been unearthed by Jelmer Mommers of De Correspondent. 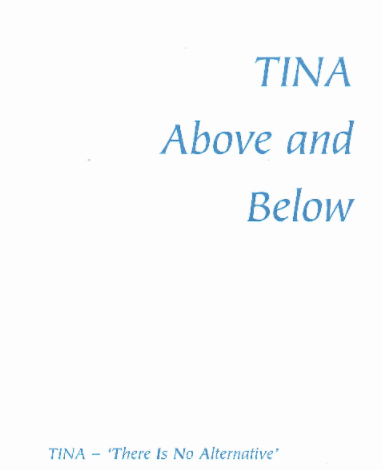 Named “TINA” for “There is no alternative” the scenarios anticipate changes in energy consumption, technology, social cohesion, and markets. This is a follow up from a similar exercise from a few years prior and a precursor to Shell’s recent “Sky,” “Mountain,” and “Oceans,” energy outlooks. In the People Power scenario, institutions struggle to reform and a series of shocks disrupt the market. However, the outcome remains positive. A new values-driven world emerges with heavy emphasis on reputation and firms’ ability to tailor to customers. 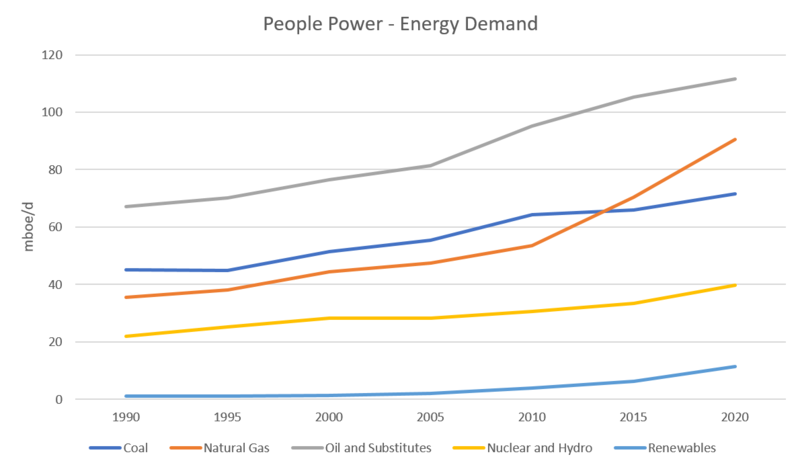 Oil plays a more dominant role in energy demand. A more detailed analysis of assumptions, modeling, and subsequent actions is necessary for each model. However, a few key items stand out. Shell applies the logic of a carbon budget to its analysis of remaining oil, gas, and coal reserves. The company concludes that existing known reserves of oil and gas can be consumed while staying within carbon limits. Coal reserves, however, push humanity past the budget. Note, Shell’s budget locates an acceptable carbon threshold at 650ppm; the chart reveals that use of existing gas or oil reserves would be enough to push us past 400ppm. Shell foresees public concern over CO2, growing NGO presence, and advancements in car technology playing a significant role in shifting global oil prices. The TINA documents include two energy demand models under the New Game and People Power scenarios. 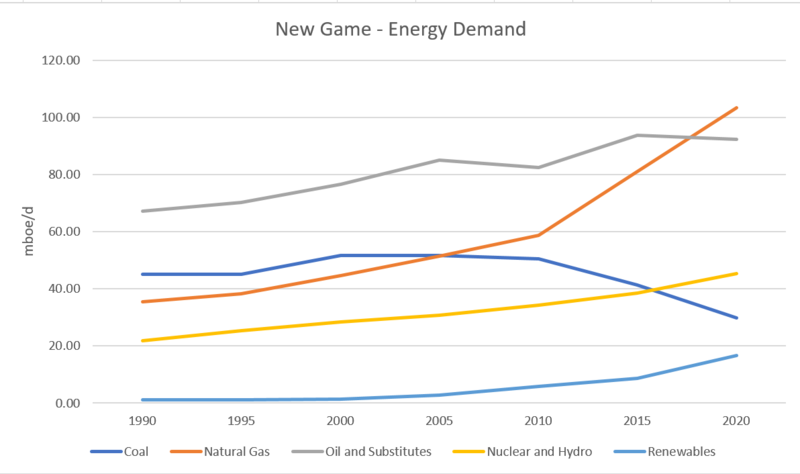 Both predict an aggressive growth path for natural gas and declining coal consumption, with slightly different outlooks for oil. Volume 1 attempts to answer these questions by reckoning the “relentless search for profit” with the increase in NGOs focused on the environment in The New Game scenario. The authors realize the “significant number of customers … intensely concerned with the environmental or social impacts of their energy sources.” Noting that “these customers demand action,” Shell inventories lower carbon supply options.